Provides services to businesses throughout the country. The firm is involved in consulting, investigations, and training to support the financial and health care industries. Daniel Martino, the founder of the company, is a former FBI Supervisory Special Agent with 34 years of experience and a long track record of success. The firm participates in a vast network of highly trained and experienced professionals who provide high-quality services marked by integrity in a variety of disciplines. Enjoy your visit. Daniel M. Martino is the founder of Martino Consulting and Investigative Services Inc. and is a highly decorated, 34-year veteran of the Federal Bureau of Investigation (FBI) having served in Washington, D.C.; Honolulu, Hawaii; Eugene, Oregon; and Los Angeles, California. Prior to entering the FBI, Mr. Martino served three years in the United States Marine Corps. Mr. Martino possesses extensive investigative and managerial experience in white-collar crime investigations including but not limited to financial institution fraud related to the fraudulent acquisition of financial institutions, commercial banking transactions, embezzlements, defalcations, counterfeiting, identity theft, and loan transactions. In 1994, Mr. Martino was the first FBI recipient of an award presented by the People's Republic of China for his involvement in a significant investigation involving a foreign currency exchange fraud and money laundering scheme that targeted China's financial industry. 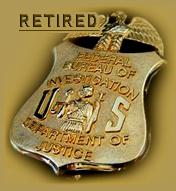 Mr. Martino subsequently supervised the Los Angeles FBI Financial Institution Fraud Unit, which encompassed the Southern California area. During the period 1996 through 2005, Mr. Martino supervised the Los Angeles FBI Health Care Fraud (HCF) Program, which was the largest program of its kind in the United States. Through Mr. Martino's strong leadership, innovative strategies, dedication, and highly effective teamwork philosophy, the HCF Program was recognized within the government and throughout the insurance industry as the model for health care fraud investigations. Numerous health-care-fraud-crime problems were addressed simultaneously to protect the interests of the American people and the insurance industry in terms of health care benefits provided by government-sponsored programs (such as Medicare and Medicaid) as well as private insurance programs. Mr. Martino was instrumental in establishing and spearheading several health care fraud initiatives, which addressed the following areas: home health agency frauds, clinic frauds, durable medical equipment frauds, clinical laboratory frauds, hospital frauds, personal injury frauds and outpatient surgery center frauds. These initiatives were developed as a result of a thorough analysis and assessment of health care industry vulnerabilities and problems. These proactive methods were highly successful and responded to emerging issues that threatened the health care delivery system. Additionally, Mr. Martino successfully developed and supervised one of the largest HCF undercover operations ever conducted in the United States resulting in 46 convictions and a cost savings of $108 million to the Medicare Trust Fund. Furthermore, Mr. Martino supervised the FBI's participation in the investigation of a large-scale hospital provider that recently entered into a civil settlement agreement in 2006 with the United States government for $900 million. In early 2006, Mr. Martino was awarded the U.S. Department of Health and Human Services Inspector General's Integrity Award for his major contributions in the protection of the Medicare and Medi-Cal Program through criminal and civil investigations. Mr. Martino is nationally recognized within the insurance industry and has made numerous presentations to the public, insurance industry, and law enforcement professionals concerning health care fraud and anti-health-care-fraud initiatives. Additionally, Mr. Martino has been interviewed by numerous media outlets including television, radio, and print concerning the various problems associated with health care fraud and its impact on the community. Mr. Martino strongly believes that a well-focused, energetic, collaborative effort involving the client and consultant/ investigator is essential to obtaining a satisfactory result that serves the best interests of the client.